A tenured professor at Lakehead University in Thunder Bay is supporting the dean of the institution’s law school who recently quit amid allegations of racism. 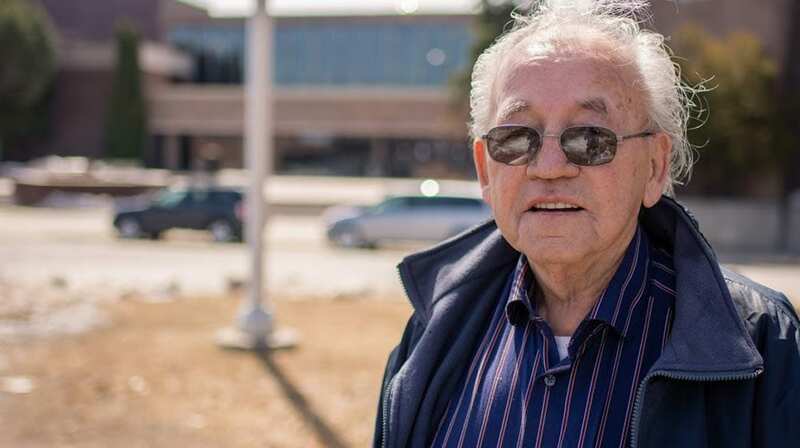 Dennis McPherson, an Ojibway lawyer from Couchiching First Nation who has been a faculty member in the Department of Indigenous Learning at Lakehead for more than two decades, said racism has been alive and well at the institution for a long time. “What’s happening at the law school is certainly not a surprise,” said Dennis McPherson. The comments come following the resignation of the dean of the country’s youngest law school which has revealed allegations of systemic racism and reverse discrimination among staff, faculty and senior administration at Lakehead. 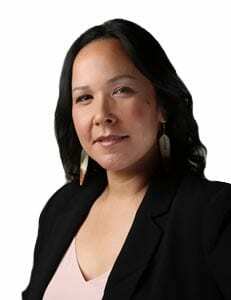 Angelique EagleWoman announced her resignation in a letter to the Aboriginal Advisory Committee of the Bora Laskin Law School in March. “I have been the victim of systemic discrimination at Lakehead University because I am an Indigenous person and a woman,” wrote EagleWoman in the letter. “The University has systemically sought to minimize my capacity and authority as Dean,” she stated. McPherson said he has been fighting racism since he arrived at Lakehead. In June of 1995, McPherson camped on the front lawn of the university campus for a month after the University Senate passed a motion that would see his salary paid for with funds from the Aboriginal Education and Training Strategy. McPherson said he warned the president the move would be unlawful and fraudulent. “The Aboriginal Education and Training Strategy dollars were not meant to pay salaries of professors on campus, they were for program development and delivery of programs in First Nation communities,” McPherson said. Also a member of the Senate and the only one with a law degree, McPherson said he voted against the motion but it still passed. In response, he camped out on the university’s front lawn with one question. “How would the university respond if an Indian set a tent up on the front lawn?” McPherson said he asked himself at the time. McPherson described how three fire engines and six police cruisers showed up with sirens blaring because they were roasting hot dogs on an outdoor grill. With a fire restriction in place, McPherson said the firefighters took the grill and hosed it down. “At the time the security guard was standing there looking at me, made the statement he could solve the problem by coming across the street and sticking a tomahawk in my head,” he said. But McPherson said that wasn’t the worst of it. McPherson would sit with the Bishop, nun, and president of the university, entertaining a discussion. He said he later asked the president why he had brought the Bishop and nun to see him. “His response was that he thought that the Bishop and the nun were knowledgeable in these matters,” recalls McPherson. It’s been more than 20 years since that occurred but McPherson doesn’t think much has changed. He was on the University’s planning committee that developed the proposal for the law school. McPherson said EagleWoman had no choice but to resign. “I have empathy for her and also sympathy for her because from my perspective she was set up,” McPherson said. EagleWoman joined the Bora Laskin law school as Dean and law professor in June 2016 just in time to witness the Charter Class graduate. She was the first Indigenous woman Dean of a Canadian law school. “Her diverse experience and knowledge will be of great benefit to our students in the Faculty of Law and to Ontario when those students begin practicing law,” Lakehead University said at the time of EagleWoman’s appointment. 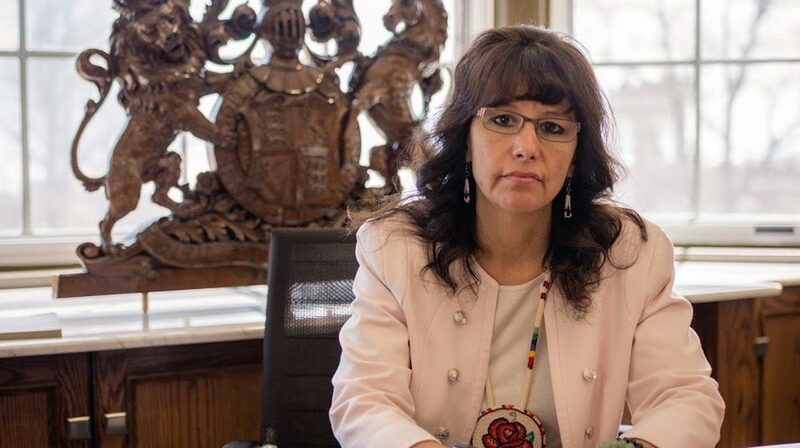 She would be responsible for leading the law school’s Indigenous mandate which focuses on Aboriginal and Indigenous law, natural resources and environmental law and small-town legal practices. “I understood there would be challenges because the law school was new and stabilizing,” EagleWoman said about taking on the position. But she said she started facing barriers within the first six months of her deanship, including being forced to teach some of the mandatory curriculum. This past academic year she said she was teaching all the mandatory Indigenous courses. “I gave a lot of energy and time to making sure that the Indigenous law curriculum was delivered by an Indigenous person,” she told APTN. EagleWoman said she is the third Indigenous legal scholar to leave the Lakehead law school and that’s a problem. “Indigenous people aren’t being hired and valued to pass on our knowledge, our history, or languages. This idea that Indigenous people aren’t prevalent at all levels of the University I think shows an issue,” EagleWoman said. McPherson said the Indigenous mandate was the selling point for the law school. “As far as Lakehead is concerned we didn’t need then, and we don’t need now another law school in Ontario,” McPherson said. McPherson said the law school has now turned into something it was never designed to be. Celina Reitberger sits on the law school’s Aboriginal Advisory Committee. She said the committee was set up in the development stages of the law school. “It was the committee that worked on getting the law school in the first place. And without the Indigenous supports there would not be a law school here,” Reitberger told APTN in an interview. “At the time the movement was to put together a law school with the Aboriginal focus,” she said about the committee’s involvement. Metis perspectives of law, culture, and language. However, by the second year, the school was in operation, Reitberger said the relationship between the committee and the law school had dwindled. “He wasn’t even asking us to meet anymore, he was trying to get rid of us,” Reitberger said about the founding Dean of the law school, Lee Stuesser. Reitberger said there have been ongoing challenges in terms of the law school implementing its Indigenous mandate. One of those challenges is hiring and retaining Indigenous legal scholars. “This is a widespread backlash against empowering Indigenous people. Indigenous people who are perfectly ready, willing and able to take on these jobs,” Reitberger said. EagleWoman said it’s an example of how racism has infiltrated and is part of the fabric of institutions like Lakehead University. “Where Indigenous people have not had a place before, and now when Indigenous people enter these places when we can’t bring our contributions, our prophecies, our ways of thinking or knowing or knowledge are automatically seen as ‘the other’, resisted and pushed out,” she said. In her resignation letter to the Aboriginal Advisory Committee, EagleWoman said she was also facing a human rights complaint about reverse discrimination. APTN learned the complaint was filed by a former employee of the University, Amanda Trevisanutto, after her contract wasn’t renewed by EagleWoman. EagleWoman told APTN her decision not to renew Trevisanutto’s contract was based on her job performance and several incidents of disrespect. Trevisanutto responded to APTN via email and Facebook and said she egregiously denies these claims and that EagleWoman has defamed her. EagleWoman said she received no support from the University when the human rights complaint was filed. “If I were a white male Dean and my authority was challenged, I would expect that administration would’ve stood behind my decision making,” she said. 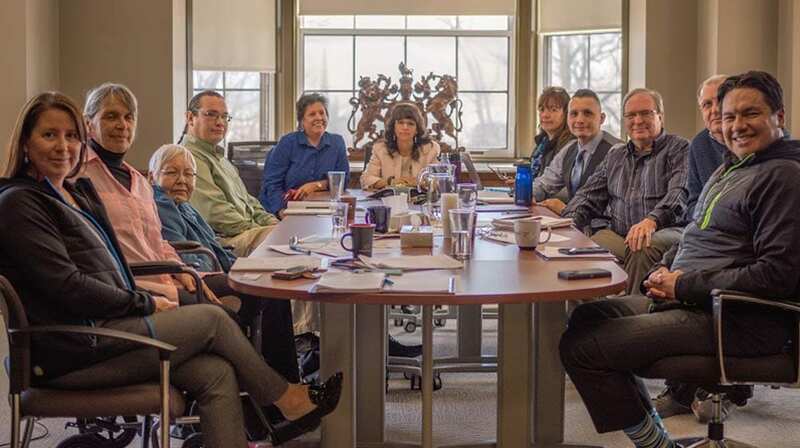 In a meeting on Friday with EagleWoman, the Aboriginal Advisory Committee said they stand by EagleWoman and have asked her to rescind her resignation. 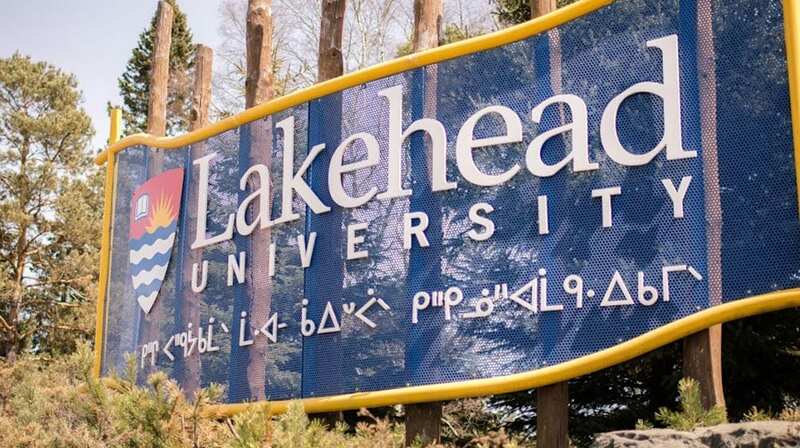 A press conference is planned for April 24, when First Nations and Metis leaders will be calling on Lakehead University to address the issues of systemic discrimination and racism within its institution. “We’re extremely disappointed, frustrated and angry at the treatment that she suffered and the lack of support she received from Lakehead University and her own faculty,” said committee member Evelyn Baxter. EagleWoman goes on stress leave on May 1 and her resignation takes effect in June. “I explained the intense trauma I’ve been under and why it’s untenable for me to stay,” EagleWoman said on Friday. Lakehead University told APTN in an email that it would not comment on the Dean’s resignation because it’s a personnel matter. This woman has a long history of being a wretched reverse racist. Just follow the trail. It’s a sad situation. We in (Saskatchewan at the U of S) have Law School Program for over 50 years. It was founded by Indigenous Political Groups. After I read this article where is the support of these groups in Ontario. Institutional Racism takes all stakeholders to get involved to institute change. You know things are bad when the Indigenous Law School is unable to achieve restorative justice at the institutional level due to the oppressive activities enshrined in colonial law. The Prime Minister has given voice to advancing changes to Canadian legal frameworks and what better way to start than to enact a Federal Indigenous Universities Act in partnership with each provincial and territorial government. There is already a fine First Nations University in this country which rightfully should hold its own legal standing separate from The University of Regina and be empowered to establish campuses across Indigenous Canada. It behoves me to understand how Canada can recognize other self governing universities across the globe but for some mysterious reason recognizing this university as separate from the colonial state seems to be an impossibility. Since Lakehead happens to have a Chair in Reconciliation what better opportunity can there be than to begin the work of reconciling Indigenous jurisdiction over this and other legal obstacles to wellbeing. Chi megweetch for trying to make a change for our people. All this taking place during the times of reconciliation in Canada. If institutions are sincere about bringing in indigenous epistemology and languages – it’s leaders must go through their own decolonization journey first in order to understand the importance of the relational re-set. WoW, doesn’t surprise me, Thunder Bay is known to be very racist community.